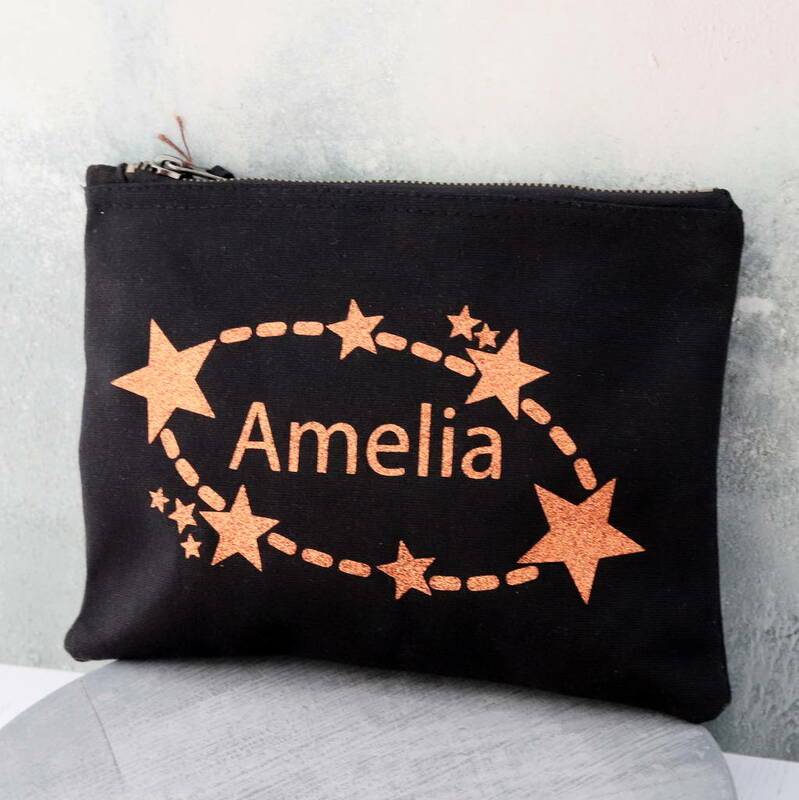 This is a high quality, 100% recycled cotton cosmetic bag that can be personalised with a name of your choice. It features a metal zip, lending the bag durability and practicality. It is ideal as a thoughtful gift for friends and family, or for yourself! Other designs are available from our shop, please take a look. Please note that the longer the name, the smaller the font shall appear on the product. Featured product is black cosmetics bag with rose gold glitter design. Medium - 6" x 9"